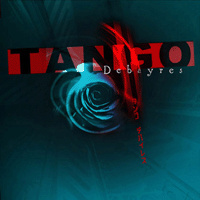 Debayres is a group, a musical and audiovisual project, an entity. Of the tango´s sensuality and its typical instrument –the bandoneon– in conjunction with one of the newest musical styles: the electronic music, is born a retro-futuristic alliance “Tango”. “Tango” is the first album of this group. Including 12 tracks with lyrics in Spanish, French, English and Japanese it will be released on July 2004. From Argentina to the world…..